How do you find a frozen pipe? Run every faucet in your house to see which ones won’t start delivering water. Since this winter has been so cold, it shouldn’t come as a surprise if you see a deep freeze happen. But your pipes are in danger, as well. Do you need some help locating a potentially frozen pipe in your house? We’ve put together this helpful guide to make the whole process faster, easier, and less frustrating. The first step is to follow the process of elimination. Through this process, you can determine where the frozen pipe in your home might be hiding. 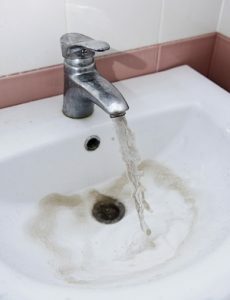 Run every faucet in your house to see which ones won’t start delivering water. In case this problem is only confined to one room, then the section of frozen is pipe is between the main line and a smaller line. If all of the pipes don’t work on the upper floor, that’s because the pipe has frozen at the junction between the two floors. If you don’t have any working faucets, it means the main water line has frozen. Chances are, your main water line is located somewhere on the exterior of your home, where it can’t be well-protected against freezing temperatures. Next, you’ll want to take a look at the frozen pipe. Is there some condensation on the pipe? Then you’ve probably discovered the source of the issue. Sometimes all you need to do is feel the pipe and see if it is colder than all the pipes around it. How to fix a frozen pipe? Much as you would do with anything else frozen, you need to heat it back up. For this to work, you’ll need an electric heating pad or any towel that you have drenched with some hot water first. Let the connected faucet keep running so you can tell when the pipe is beginning to reheat. Whatever else you do, don’t use a source of direct heat. We don’t recommend using a lighter or blow torch or anything of that sort – because you might make the pipe overheat and explode, causing injury to yourself and damage to your surroundings. This entry was posted on Friday, January 12th, 2018 at 11:42 am. Both comments and pings are currently closed.